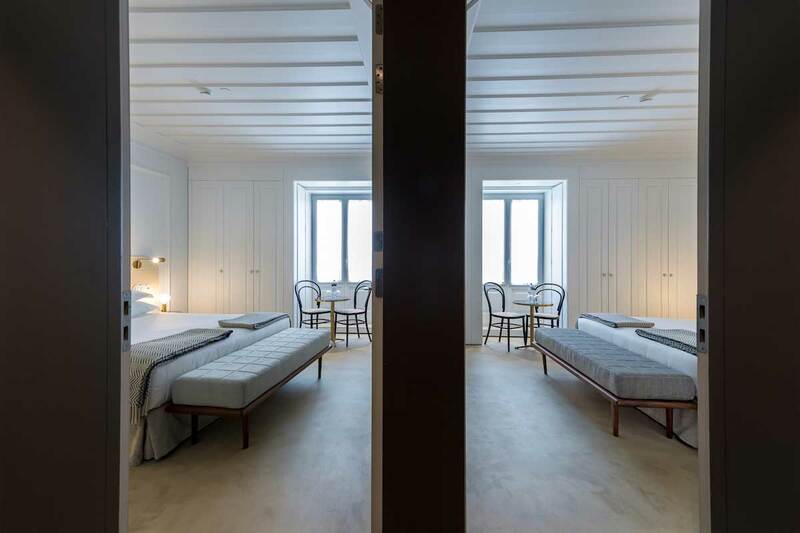 The Lisboa Pessoa Hotel features 75 suites with 6 different types in order to meet the needs and expectations of each guest. 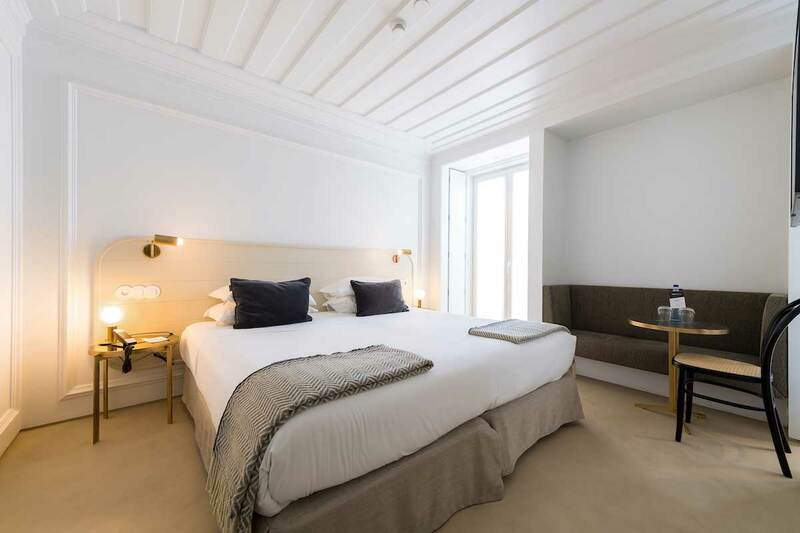 If you are looking for an authentic experience and feel that you live in Lisbon house, discover our ground floor rooms at the street level. 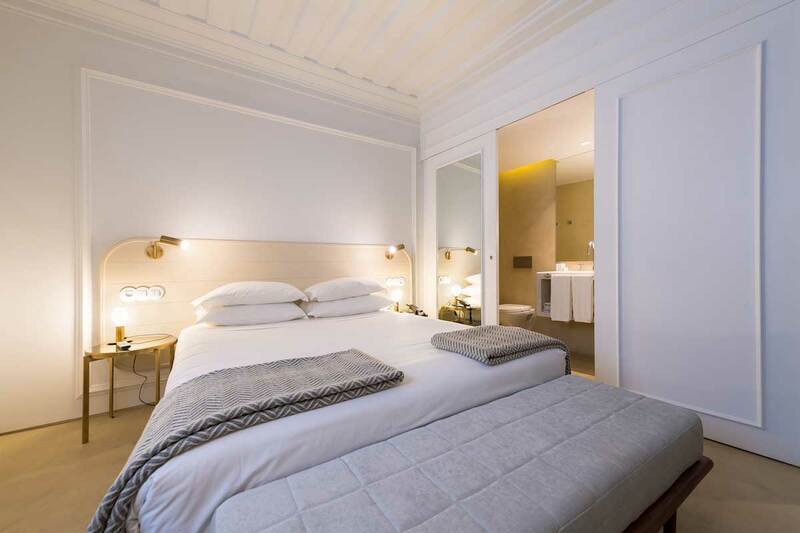 In the Standard Double Room you will find everything you need to make your stay in Lisbon unforgettable. 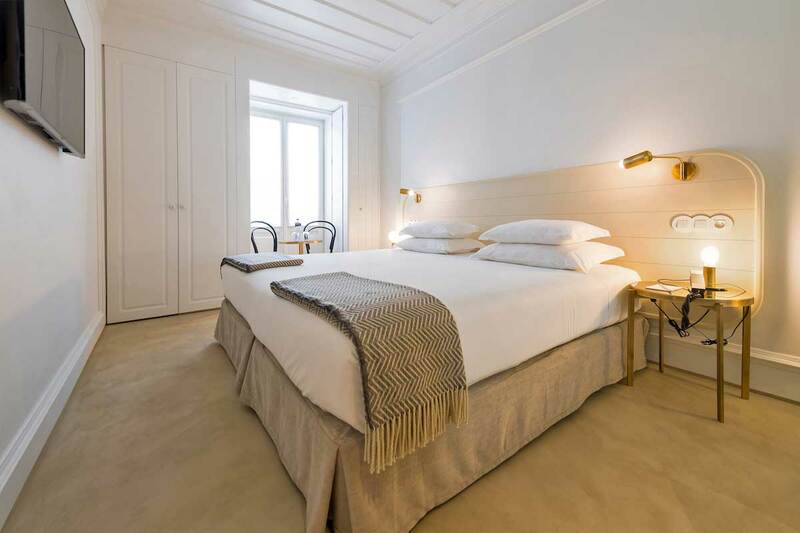 The Small Rooms are simple and intuitively decorated to provide you with an unforgettable experience in Lisbon. They are slightly smaller than the Standard Double Rooms. The Connecting Rooms are ideal for you and your family as they allow you to be with your family members while maintaining your privacy. They are two independent rooms with a common door to the exterior. 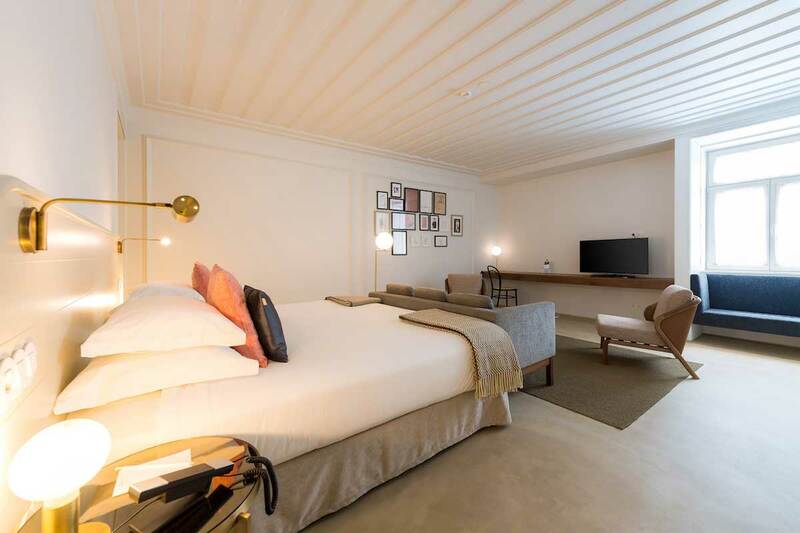 If you wish to enjoy the magnificent view to our city, book our View to Lisbon rooms and enjoy the beauty of the historic Castle of São Jorge and the authentic Tejo River. 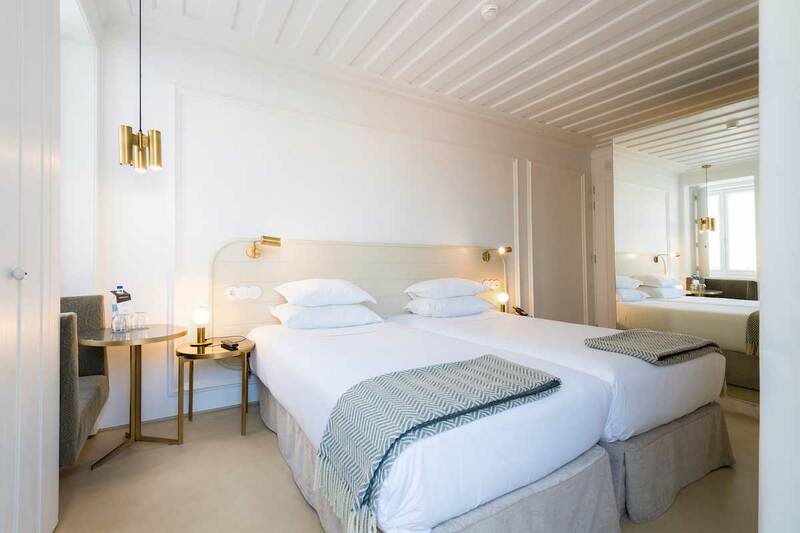 The rooms with the view have a terrace with furniture that allows you to relax while contemplating the wonderful Lisbon. The Unique Rooms are the most spacious and offer a small seating area and are uniquely decorated. They feature a walk-in closet and a king-size bed with whirlpool bath and shower. safety deposit box, free toiletries, hairdryer, mini-fridge, wardrobe and complimentary water.